Do you remember the days of the Tooth Fairy? That moment when our baby tooth began to loosen and by the hands of our father, mother, string or pliers, it was wiggled back and forth until it fell into our hands. Placed carefully under our pillow at night, we would wake to see how many coins or goodies the famous fairy had left in its place. Around 6 or 7 years of age, the 20 baby teeth in our mouth slowly begin to be replaced in the order in which they arrived. As an adult, the loss of a permanent tooth is less fun, leaving a gap in our smile. 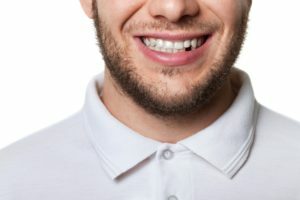 No longer a game, a missing tooth can cause a range of issues from the movement of nearby teeth, to shifting jawline, change in speech, difficulty chewing, and the loss of desire to smile. When a permanent tooth is lost, consult with your dental expert about the possibility of a dental implant. Designed and manufactured with the latest technology, dental implants are a long-term and cost-effective way to replace missing teeth. Dental implants have been used to replace missing teeth for over 40 years. It is a fixture that consists of the actual dental implant (post) and the crown (tooth-like part). The dental implant is made of titanium alloys and other compatible materials that allow your body to naturally heal around it. An artificial crown or bridge is then attached to the top. The post is below the gum line and once completed, a dental implant is virtually indistinguishable from your own teeth. Inserting the Dental Implant: The dentist places the dental implant surgically into the jaw bone. Sometimes, additional radiographs or three-dimensional scans are necessary to determine if there is enough bone to support the dental implant. 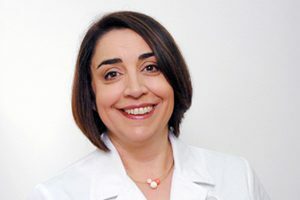 In cases where there is not enough bone, bone augmentation techniques are used to build up more bone, necessary for the placement of the dental implant. Healing: The bone needs time to heal around the post to achieve integration of the implant within the jaw bone. This process, called “osseointegration” is necessary to achieve future stability of the implant. Attaching the Tooth: Placement of the final tooth is the most expected and exciting part of this process. This procedure involves taking precise impressions and conducting customized lab work, to create a new tooth or bridge that fits your dental implant. The longevity of dental implants is significant and well-documented. Clinical studies have shown a long-term success rate of 95-98%, for periods of over 40 years. This is considerably longer than other forms of cosmetic and restorative dentistry including bridges, which are shown to wear down around 10 years. With proper daily oral hygiene and regular, twice-annual maintenance checkups to your dentist, an implant may last a lifetime. You may be pleased to know that the overall cost of a dental implant may run less than alternative options when compared to the long-term. Implants are lower maintenance and the longer lifespan means once placed in your mouth it should remain. Dental insurance companies have various restrictions on coverage. While some exclude implants as a cosmetic procedure, they may cover tooth extraction and bone grafting, if necessary. Our team will work with you to determine what is covered by your policy. We may have outgrown the Tooth Fairy but that does not mean we have to settle for a loose tooth with no positive outcome. Contact us today to schedule a consultation and discuss your dental options for a healthy and beautiful smile.